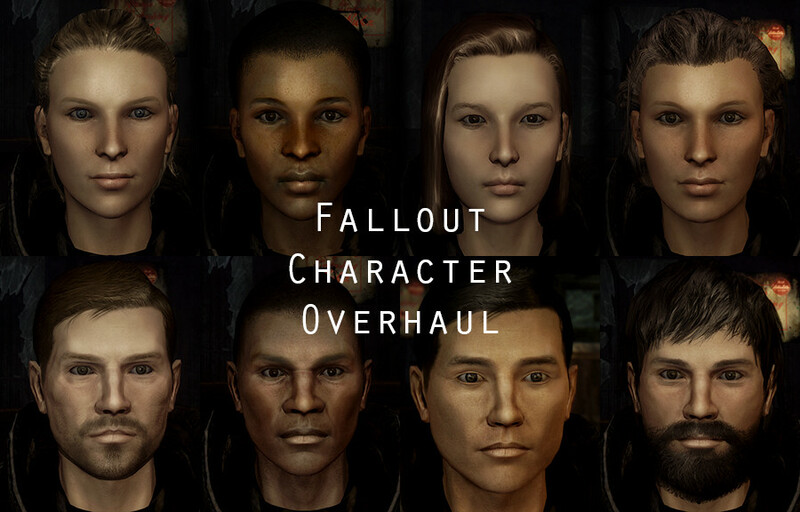 Overhaul of characters in Fallout with new headmeshes, high resolution texture maps and a lot more. This is just the races module, NPC's are yet to be adapted. All assets in this mod are a Fallout Nexus exclusive, do not ask if you can distribute them on another site. Assets in this mod cannot be re-uploaded anywhere without my permission including anywhere else on the nexus sites. If you wish to edit a character and upload it using purely geck work then you are welcome to, as long as this only includes an ESP that will be referincing one of my races I have made in my ESM. 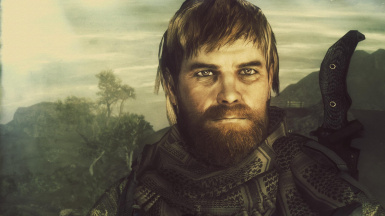 I will make a tutorial on how to do this soon so any NPC's you don't like you can remake an upload yourself for other to use. OnHolyServiceBound - NPC's included in main are: No-bark Noonan, Benny, Gloria Van Graff, James Garret, Francine Garret, Papa Khan, Jean-Baptist Cutting, Arcade Gannon & Legate Lanius. Also made the optional addon for NPC's. READ THE DESCRIPTION BEFORE DOWNLOADING OR MAKING A COMMENT ON ANY PROBLEMS ESPECIALLY NECKSEAMS. REMEMBER THIS IS JUST THE RACES MODULE, YOU WILL NOT SEE ANY NPC EDITS. 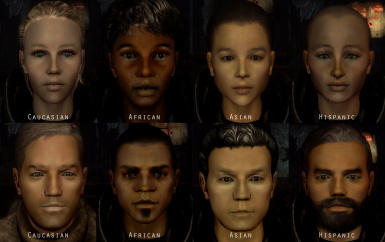 - Different Races and Genders there own unique headmeshes which adds more diversity to facial shape of characters. 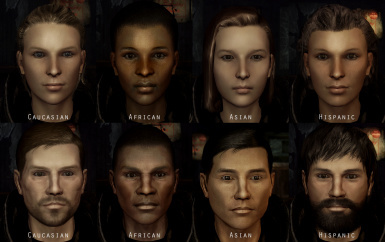 There are now 8 unique headmeshes for human characters compared to the vanilla 2 (one male, one female). - Ghoul’s have also been redone with new sculpted normals and diffuse textures and look vastly improved. 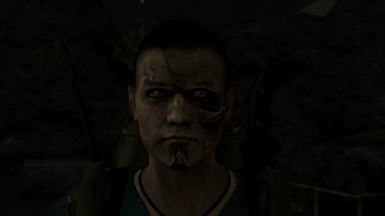 There is also a variety of two unique ghoul textures for male and female now as not all Ghouls should look the same. - Races also have their own high resolution texture maps with properly sculpted normals, this can make massive changes to what a face looks like as it gives it the illusion of being a higher polycount than it actually is and adds lots of depth to faces. - Many new eye textures have been made and are playable via the race menu. The replacer eye textures are completely optional so if you don't like them, stick with vanilla or use a different mod! - Animated eyelashes have been added to all females and male eyelashes are in the works. - Unique races only available to the player have been made and more shall be added in the future. For example a courier race that is very scarred. - A new Race has been made called a “Half-Ghoul” this is a human that is in the middle of becoming a ghoul this has been used in game only once for an NPC (try find him) but it is also a playable race. There are two different styles of Half-Ghouls. - All of these things come with little to no hit to performance, headmeshes are the same polycount as vanilla and the only texture that is bigger than vanilla is my diffuse. Hair textures are higher resolution however a performance option for these will be added soon but in there current state I still saw no performance hit. Install with NMM or FOMM, there is a FOMOD installer in the archive. Or use the manual installation and drag and drop the data folder to your data folder in the Fallout New Vegas folder. After installing make sure to toggle Archive Invalidation off then on. - This mod currently is not compatible with any mod that adds new eyes or hair (Lings & Mikoto) purely because the hairs/eyes would have to be added to all my custom races (which is a lot), a compatibility patch is very easy to make with a basic knowledge of FNVEdit. If you really want a patch and want to upkeep it with whenever I update this feel free to make one and I will add it to my installer and credit you. or upload it on a separate mod page i don’t mind. 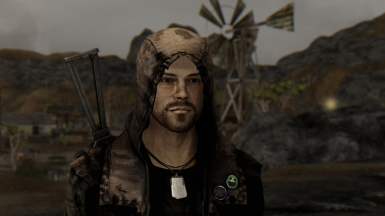 - This is compatible with New Vegas Redesigned and any mod that edits NPC faces. - This mod will really not conflict with anything at this point. Go into NMM click on the tool icon at the top and toggle archive invalidation off and on, or turn it off and on using FOMM. this is essential or you may get weird colour difference between the head and body. All assets in this mod are a Fallout Nexus exclusive, do not ask if you can distribute them on another site. Assets in this mod cannot be re-uploaded anywhere without my permission including anywhere else on the nexus sites. If you wish to edit a character and upload it using purely GECK work then you are welcome to, as long as this only includes an ESP that will be referencing one of my races I have made in my ESM. Compatibility patches and Translations are fine to make just let me know so I can link to your mod or optionally I’ll upload them here and put them in a installer that’s being made. Nuska - Female normals and mesh that I used as a base. and teaching me some stuff that made this mod possible.